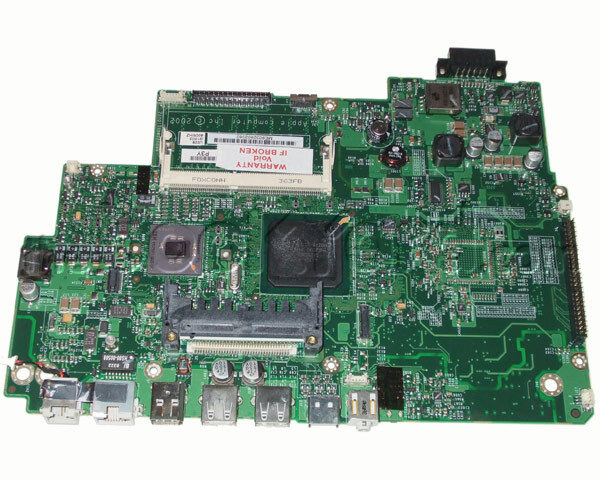 Fully functional, tested logic board for the 128M RAM, 900MHz dual USB white 12" iBook G3. This is a highly static-sensitive device and replacement should not be attempted without suitable experience and anti-static precautions. Removing the logic board means breaking the thermal seal between the processor chip and the heat sink. This seal must be re-made adequately when the new board is fitted to ensure the PowerBook does not overheat. Thermal paste is available from the Tools section.